18-09-2014: UFO Sighting Video Over Portland, Oregon, U.S.
Unexplained lights filmed by teens, decent quality with bizarre flight path made very clear. 7 witnesses with no previous UFO belief, definitely one of the best videos I've seen. 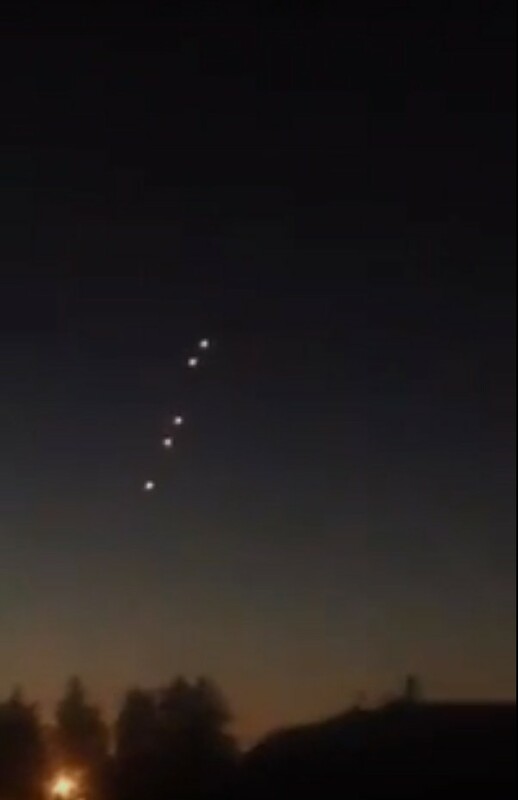 If these are some type of new military flare or other, that we are not familiar with, please can someone who knows about this sort of thing write in with their comments?... we need to made aware! [Question.. is this video any good or shall we scrap it? viewers votes (or lack of) decides. It isn't doing much on YouTube at the moment, 9 votes... no shares - so, who cares? A few friends of mine were out at a park in Portland, Oregon at night and saw what appeared to be 6 or more large obvious lights in the sky. The general lack of speed they exhibited was strange, usually a plane or a helicopter even when viewed from far away are obviously going from one point to another usually. These lights didn't seem to have a particular sense of urgency to do anything or go anywhere, which was immediately odd. the lights themselves are fairly nondescript, due to the distance of the observers they seems to just be very large balls of light slowly trailing through the sky. The lights were so closely packed together that when they split into 6 separate lights it seemed as though one very large sphere had simply split into parts. during the split, they were descending slowly, then they all stopped at the same time and hovered. At this point their formation is more of a scattering of lights in a vague grid shape, until they slowly repositioned themselves (either floating up or down) into a straight-ish line, their positions fluctuate at this point, yet always at the same pace and with no real regard for the direction they were going. One of the witnesses can be heard saying that there is another "unlit" light hovering some distance above the rest of the lights, unfortunately it can't be seen on this video. the general response from the witnesses was disbelief, some of them making nervous jokes about being abducted etc. overall, a fantastic video, and I know that whatever they saw, it is legit because not one of these young people has any experience or interest in photography, filmography, film editing, or anything else that could be a skill they could have used to doctor footage. Thank you for reading, hope this intrigues you as much as it intrigues me.